Offers cloud platform migration, custom application development and managed services. We give our employees the ability to work with cutting edge technologies, so they can reach their highest potential. We offer life event perks, celebrating house purchases, marriage, birth of a baby, and educational milestones. We have participated in a myriad of events, walks and donations from Los Angeles Family Housing efforts to help the homeless to the Convoy of Hope's disaster relief. We also offer Unlimited PTO. This encourages a healthy work/life balance, which revitalizes employees and fosters productivity throughout the year. 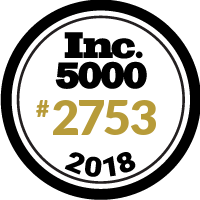 Proud member of the INC5000 10X Club! True testament to our exceptional services, technical expertise, and award-winning corporate culture.